I wasted my childhood like your average kid. I collected cicada shells from tree bark, belched enough soda to fuel a hot air balloon, sang into a hair brush in front of the bathroom mirror while wearing nothing but my dad’s aftershave. I was as full of promise as a new-born litter of kittens. Neither a prodigy nor a golden child, I was Mowgli without the Jungle or the Book. Although our family owned books, our parents didn’t read to us. Nor were we encouraged to read. I grew up believing books functioned as merely shelf décor and, being a poor reader, often confused time spent with them as a form of punishment. So TV and movies were my only viable sources to story telling. This impression wasn’t dispelled once we left the house to visit our grandmother. On weekends, she’d drop my brother and me off at the movie theatre and we’d spend all morning and afternoon watching matinees back to back, sometimes the same film. This was back when it was safe to leave children alone at a movie theatre. As I got older I discovered the miracle of reading and found it generally to be a superior form of entertainment to film, as well as potentially a more enriching experience. I continued to frequent the theatre, but over time I learned that lasting joy can’t be gained from a careless knee to the back. The incessant whisperings of impatient patrons or their obnoxious cell phone jingles during a film will only make you wish you’d brought mace. Besides, chancing 10 bucks in the hopes of scoring that one summer sleeper amid a score of silver screen flops ain’t worth it. Thankfully, you and I, dear reader, have options. Whether you favor action-packed, high-octane thrillers or classic page turning epics, summer books offer far more dynamite for your dollar than the noisy theater with the screaming baby whose sitter cancelled at the last hour. Plus, your shoes won’t stick to the floor, usually. 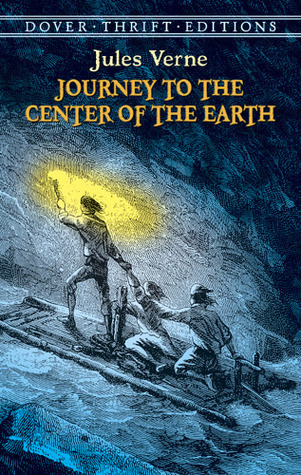 Journey to the Center of the Earth, by Jules Verne, is a well written classic adventure story and a perfect summer read. You’ve got your intrepid scientist, Professor Von Hardwigg, Hell bent on proving that a long, lost code has finally been cracked, revealing a secret entrance into the center of the planet, and who hopes to follow this route and achieve scientific renown for himself. Then you have his nephew, our protagonist, Harry, the narrator and reluctant adventurer inveigled into accompanying his uncle on what he considers an absurd and potentially suicidal mission. Harry’s sole ambition is to survive so he might return and marry his love, Gretchen. (Ignore the yuck factor that the object of his affections is his cousin. Those French freaks!) Last is their Icelandic guide, Hans Bjelke. He doesn’t speak the language of the uncle or his nephew. In fact he hardly speaks at all. He’s the consummate salt of the earth, though, whose sole concern throughout the whole ordeal is that he gets paid at the end of every week. This is a great literary device – serving to remind the reader of the lapsed time over the course of their journey. Verne uses the known sciences of his day (circa 1870) to lend plausibility to an otherwise implausible tale. For example, Harry draws from scientific discoveries his contemporaries would be familiar with when describing what his party encounters along their trek. He also chronicles their daily travels with a reasonable amount of detail – dates, supplies, their diminishing rations, their instruments for gauging temperature and distance traveled as well as geological anomalies. Another clever gimmick he incorporates is to compare marvels along their fictional path to known phenomena and natural wonders in the real world, such as remarking on the Ear of Dionysius when describing the acoustics in a particularly deep underground labyrinth or the wonder of Fingal’s Cave when describing a fictitious composition of granite, etc. This bridges the gap between the familiar geological formations we recognize and the imagined curiosities Verne invents for his novel. The telling is so convincing it’s no wonder many readers of his day believed the story was true. Without giving too much away, anything that could go wrong on their expedition does, and Verne exploits these obstacles fully, stretching out the suspense and revving up the drama while our three explorers journey deeper within the bowels of the earth. Worth your time. For those who like epic tales of antiquity, I highly recommend The Siege and Fall of Troy, by Robert Graves. 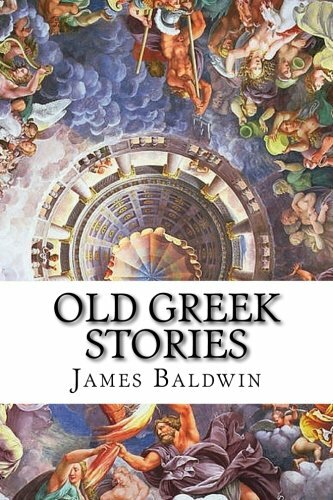 This is two of Homer’s books in one: The Iliad and The Odyssey, both in prose form. Graves really knew his stuff (see his wikipedia page) and he breathes new life into these tales, resurrecting myth altogether. Graves was a prolific writer. His love of this material is evident in his rendition. If you like reading stories full of brave and harrowing deeds, sorrow, heroism, revenge, violence, all told simply and wonderfully, you’ll enjoy this. As a side note, I preferred Graves’ translation of Homer’s Odyssey to Robert Fitzgerald’s. Also Graves’ translation of The Iliad is better than W.H.D. Rouse’s, which, by the way, ended with Hector’s funeral. 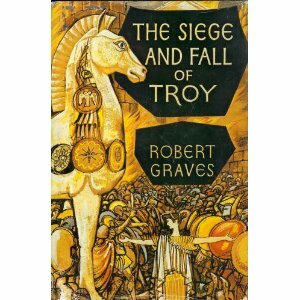 In other words, in Rouse’s translation, you miss out on the bit about the Trojan horse. The Martian Chronicles, 40th Anniversary Edition, by Ray Bradbury. Yes, Bradbury recently passed away, but that’s not why I include him here, though that wouldn’t be a bad reason. Instead, I’d like to think I’m just a fan of good writing. Bradbury was one of my favorite writers and this is a great summer book. If you haven’t read Fahrenheit 451 (the temperature at which paper burns), you’re missing out. Some of his predictions in that book about technology, published in 1953, are prophetic. Some have already come true (parlor walls, interactive video games, books rendered as relevant as the harpsichord by the vast majority of the populace). But never mind Fahrenheit. I want to recommend Martian Chronicles this time around. 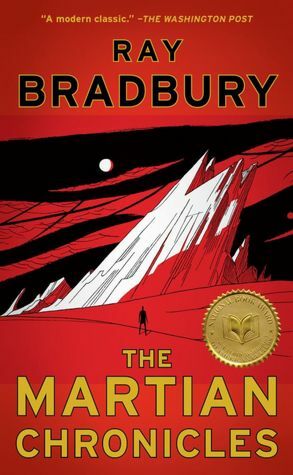 In the Introduction, Bradbury points out that the chapters were initially short stories his editor pressed him to shape into a novel: “What about all those Martian stories you’ve published in the past four years? Isn’t there a common thread buried there? Couldn’t you sew them together?” This was obvious in the reading, but not jarring. In fact, this is the best sci-fi novel I’ve read since Stephen R. Donaldson’s sci-fi Gap series (which, by the way, is another excellent summer recommendation). And yes, I write this having read both Asimov’s Foundation series and Herbert’s Dune. Bradbury’s way with words is fresh and engaging. His pacing is impeccable. (Incidentally, I recently learned that he never went to college.) This edition also included the heretofore omitted chapter, “The Fire Balloons”. 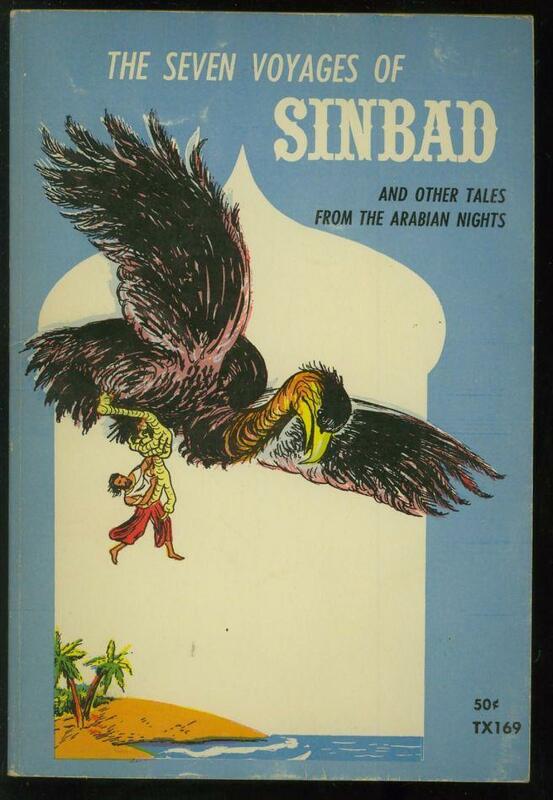 If you’re into short stories as opposed to all-out epics or full-fledged novels, treat yourself to Sinbad's Seven Voyages and other stories from the Arabian Nights, retold by Gladys Davidson. The four classic stories are: “The Seven Voyages of Sinbad,” “Aladdin and the Wonderful Lamp,” “Ali Baba and the Forty Thieves,” and “Abou Hassan or the Caliph's Jest.” I wished I’d read these as a child instead of cooking ants with a magnifying glass or stomping on corn stalks in an effort to shape my own crop circles. Highly recommended.